This article is about the band. For the fictional criminals, see The Goonies. Jon Fratelli is a Scottish musician and songwriter best known for his work with the band The Fratellis. He has also played in a band called Codeine Velvet Club, and also performed as a solo artist. The band's name came from the criminal family in The Goonies . They played their first show on 4 March 2005 in the O'Henry's bar in Glasgow across the road from the Horseshoe bar, and received their first radio playing in 2005, on central Scotland's Beat 106 (later XFM Scotland, now Galaxy Scotland) Beatscene show hosted by Jim Gellatly. They were signed by Fallout Records. Jim Gellatly is a Scottish radio presenter and DJ. He presented Drivetime on XFM Scotland until its closure. Currently he hosts Breakfast on BFBS Radio in Scotland, and does a weekly New Music showcase on online/DAB radio station Amazing Radio. The Fratellis EP was released on 3 April 2006, featuring the tracks "Stacie Anne" and "The Gutterati?". "Creepin' Up the Backstairs" was never a single released by the band, even though a video was made for it. It was not eligible for the charts. The first single released by the band was "Henrietta", which was released on 12 June 2006 and charted at number 19 on the UK Charts. "Henrietta" is the debut single by The Fratellis, released on 12 June 2006, taken from their debut album Costello Music. It was their first UK Top 20 hit, charting at number 19, on the chart released 18 June 2006. "Henrietta" was released alongside "Flathead" and "Creepin' Up the Backstairs" as a download for the Rock Band 2 video game on 10 February 2009. It was also introduced in the bachelorette party scene in Made of Honor. The Brit Award for British Breakthrough Act is an award given by the British Phonographic Industry (BPI), an organisation which represents record companies and artists in the United Kingdom. The accolade is presented at the Brit Awards, an annual celebration of British and international music. The winners and nominees are determined by the Brit Awards voting academy with over 1,000 members, which comprise record labels, publishers, managers, agents, media, and previous winners and nominees. The 2007 Brit Awards was the 27th edition of the biggest annual pop music awards in the United Kingdom. 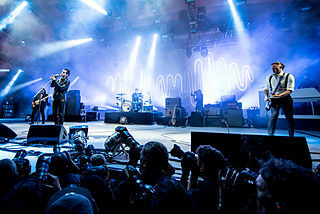 They are run by the British Phonographic Industry and took place on 14 February 2007 at the Earls Court in London. The show, when broadcast, attracted 5.43 million viewers. The ceremony was hosted by Russell Brand, with Fearne Cotton interviewing winners backstage, and the voiceover by Tom Baker. The show was supposedly being broadcast live for the first time since 1989, on ITV1; however, it was revealed to have been on a 30-second tape delay. The sound occasionally dropped out, apparently in an attempt to censor strong language, although swearing by Liam Gallagher, Simon Pegg, Mark Owen and host Brand was nonetheless audible on the broadcast. The pre-show was called The BRITs Red Carpet, and was hosted by Lauren Laverne, Matt Willis, Alesha Dixon and Russell Howard. The show that followed was called The BRITs Encore. The Fratellis perform in Scotland. The Fratellis supported Kasabian in December 2006 on their UK tour before playing 10 dates by themselves in February and March 2007. The locations included Nottingham, Manchester, Glasgow, Birmingham and London. Following the release of the album, the Fratellis embarked on a tour of the UK festival circuit, playing at Glastonbury and headlining at festivals such as NME's Rock 'n' Riot tour, OXEGEN 2007 and T in the Park 2007, amongst others. They also opened for The Police Reunion Tour in the summer of 2007 in some of the North America dates. The Fratellis also recorded some cover songs during the year including "All Along the Watchtower" for Radio 1's 40th Anniversary Double Album, Radio 1: Established 1967 , and "Solid Gold Easy Action" for the soundtrack of the film Hot Fuzz , which also included the single "Baby Fratelli". Kasabian are an English rock band formed in Leicester in 1997. The band's original members were vocalist Tom Meighan, guitarist and vocalist Sergio Pizzorno, guitarist Chris Karloff, and bassist Chris Edwards. The band's line-up was completed by drummer Ian Matthews in 2004 after a string of session drummers. Karloff left the band in 2006 and founded a new band called Black Onassis. Jay Mehler joined as touring lead guitarist in 2006. Mehler left the band for Liam Gallagher's Beady Eye in 2013, to be replaced by Tim Carter. In 2010 and 2014, Kasabian won the Q Awards for "Best Act in the World Today", while they were also named "Best Live Act" at the 2014 Q Awards and the 2007 and 2018 NME Awards. The band's music is often described as "indie rock", but Pizzorno has said he "hates indie bands" and does not feel Kasabian fit into that category. The Reunion Tour was a 2007–2008 worldwide concert tour by The Police, marking the 30th anniversary of their beginnings. At its conclusion, the tour became the third highest-grossing tour of all time, with revenues reaching over $360 million. The tour began in May 2007 to overwhelmingly positive reviews from fans and critics alike and ended in August 2008 with a final show at Madison Square Garden. 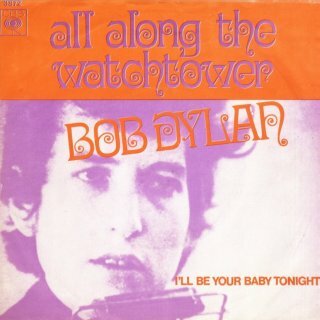 "All Along the Watchtower" is a song written and recorded by American singer-songwriter Bob Dylan. The song initially appeared on his 1967 album John Wesley Harding, and it has been included on most of Dylan's subsequent greatest hits compilations. Since the late 1970s, he has performed it in concert more than any of his other songs. Different versions appear on four of Dylan's live albums. The band released their first live DVD, Edgy In Brixton , in the UK on 1 October 2007, which was recorded at the Brixton Academy in London. The DVD contains a full live performance of the debut album Costello Music , B-sides from various singles and a new song called "Pretty Like a Girl". Extras on the DVD include the band being asked questions by members of the Fratellis' website, and on the deluxe edition, highlights from the T in the Park 2007 festival. It was released in the United States on 30 October 2007. On 10 February 2009, three songs from the album Costello Music- "Creepin' Up the Backstairs", "Flathead" and "Henrietta"- were made available as downloadable content (DLC) for the video game Rock Band 2 . On 22 February 2008, they played a small show for fans at Queen Margaret Union to debut new songs from the upcoming album. About eight new songs from their new album were played, including "Mistress Mabel", "Acid Jazz Singer", and "Look Out Sunshine!". This performance introduced two new touring members, a guitarist, Robin Peringer and a keyboard player, Will Foster. However, after the Teenage Cancer Trust show in 2008, Robin departed the tour for unknown reasons. Will Foster subsequently played both keyboard and guitar during live performances. The album, was released on 9 June 2008 in the UK and 10 June 2008 in the United States. The band marked the US release of the album with sold-out shows in New York City, Boston, and Los Angeles. The first single from the album,"Mistress Mabel", was released on 26 May 2008. The next single, "Look Out Sunshine! ", released on 18 August 2008 and with money going towards the Teenage Cancer Trust. The third single was "A Heady Tale", released on 22 December. The Fratellis released a deluxe edition of Here We Stand internationally on 8 December. The CD included a new song titled "Moriarty's Last Stand" and the accompanying DVD which features "The Year of the Thief" (a documentary of the band on the road in the US), a live show filmed on 18 June 2008 at the Fillmore, San Francisco; performances of "Milk and Money", "Flathead" and "Mistress Mabel" from Abbey Road Studios and the videos for the singles "Mistress Mabel" and "Look Out Sunshine!". During 2009, the band did a mini-tour of Australia and Japan during February and March. The Fratellis headlined the Island Records 50th anniversary show on 27 May 2009 where they debuted their new track to be included on the Island 50: 50 Years of Island Records which was Bob Marley's "Stir It Up". The band also headlined the Hop Farm Festival 2009 on 4 July, with a gig at the Middlesbrough Empire on 3 July to prepare for the upcoming headline slot. The Fratellis played their first show since 2009 to raise money for the Eilidh Brown Memorial Fund on 15 June 2012, marking nearly 3 years since they last shared a stage together. They then went to perform dates in Oxford, Leicester and Sheffield with another date at Loopallu festival, forming a small September tour. During the tour, the band debuted 2 new tracks, "This Old Ghost Town" (previously played by Jon in a solo show) and "Rock 'n' Roll Will Break Your Heart". The band performed at O2 ABC Glasgow on 26 September 2012 and announced a UK tour in April 2013. During the UK tour, 3 more songs were debuted live; "She's Not Gone Yet But She's Leaving", "Seven Nights Seven Days" and "Whiskey Saga". On 4 February 2013, the Fratellis finished recording their third album, which was to be called We Need Medicine with a release date of 7 October 2013. "Seven Nights Seven Days" was released as a single on 29 September. The album was recorded in Glasgow with Jon Fratelli and Stuart McCredie on production duties. The band saw out 2013 with a highly successful tour of the US, UK and mainland Europe. With 2014, the band played festivals across the world, returning to the US, UK and Europe and also headed over to Japan before finishing the We Need Medicine album campaign with two shows in Russia in September 2014. The band released a brand new EP in September 2014 called The Soul Crush EP, which was released for free on their website. On 29 September 2017 the band announced their fifth studio album, In Your Own Sweet Time  which was released on 16 March 2018 and followed by with a UK concert tour in March 2018. The album was released on CD, LP, limited edition orange LP and cassette. They also toured the U.S. in late Spring 2018 and early Summer. After the Hop Farm Festival appearance in July 2009, the Fratellis entered indefinite hiatus and each moved on to new bands/projects. Jon formed a new band with singer/songwriter Lou Hickey called Codeine Velvet Club. He released an album with the band in December 2009 and toured during late 2009 and early 2010, before declaring that he will be leaving the band to pursue a solo career, taking the backing band with him. He has since released his debut solo album entitled Psycho Jukebox and has embarked on tours in Scotland and the UK. A second album was recorded (entitled Bright Night Flowers), which is scheduled for release on February 15th 2019  . Barry initially stated that he was starting his own musical project and would let Fratellis fans know about it via the Fratellis website. He didn't let fans know his musical ventures until November 2011, where he revealed he had joined Birmingham band the Twang, who he played with until August 2012 when he rejoined the Fratellis. He is also a regular on the DJ circuit and continues to this day. Mince initially joined a heavy metal band called Throne o' Diablo,   before leaving the band to join Jon's solo band as a second drummer, backing vocalist and occasional guitarist. He was seen helping Jon record his second solo album in photos that appeared from the album sessions. Yeah Yeah Yeahs is an American indie rock band formed in New York City in 2000. The group is composed of vocalist and pianist Karen O, guitarist and keyboardist Nick Zinner, and drummer Brian Chase. They are complemented in live performances by second guitarist David Pajo, who joined as a touring member in 2009 and replaced Imaad Wasif who had previously held this role. According to an interview that aired during the ABC network's Live from Central Park SummerStage series, the band's name was taken from modern New York City vernacular. Franz Ferdinand are a Scottish rock band formed in Glasgow in 2002. The band's original lineup was composed of Alex Kapranos, Nick McCarthy, Bob Hardy, and Paul Thomson. Julian Corrie and Dino Bardot joined the band in 2017 after McCarthy left during the previous year. The band has been notable for being one of the more popular post-punk revival bands, garnering multiple UK top 20 hits. They have been nominated for several Grammy Awards and have received two Brit Awards – winning one for Best British Group – as well as one NME Award. Noisettes are an English indie rock band from London, currently composed of singer and bassist Shingai Shoniwa and guitarist Dan Smith. The band first achieved commercial success and nationwide recognition with the second single of their second album, "Don't Upset the Rhythm " which reached number two on the UK Singles Chart in Spring 2009. The Horrors are an English rock band formed in Southend-on-Sea in 2005, consisting of lead vocalist Faris Badwan, guitarist Joshua Hayward, keyboardist and synthesiser player Tom Cowan, bassist Rhys Webb, and drummer and percussionist Joe Spurgeon. Their music has been classified as garage rock, garage punk, gothic rock, shoegazing and post-punk revival. The Dykeenies are a Scottish indie rock band from Cumbernauld, formed in 2005. The group consists of brothers Brian Henderson and Andrew Henderson, along with Steven Ramsay and John Kerr. Since their formation, they have released one studio album, Nothing Means Everything, accompanied by three singles. After a worldwide tour, the band began work on their second album, which was released in October 2011. They broke up in January 2012, before re-forming for two performances in 2017. The Dykeenies released their EP 'I Wanted To Show Her All The Beautiful Things In The World' on 11 May 2018. The Enemy were an English indie rock band formed in Coventry in 2006. The band's debut album We'll Live and Die in These Towns (2007) went straight to Number 1 in the UK Albums Chart on release. Their second album Music for the People (2008) went to Number 2 on the UK Albums Chart. Streets in the Sky, their third studio album, was released on 21 May 2012 and was also their third UK top 10 album. Their fourth studio album, It's Automatic, was released on 9 October 2015. Despite early success in the charts, all their albums were met with mixed to negative reviews, with Streets in the Sky being considered by many critics as one of the worst albums of 2012. Courteeners are an English indie rock band formed in Middleton in 2006 by Liam Fray, Michael Campbell, Daniel "Conan" Moores and Mark Cuppello (bass); the latter was replaced by the band's producer Joe Cross in 2015. They also tour with pianist Adam Payne, who has been featured on every album. In December 2012, the band dropped "The" from their name, continuing simply as "Courteeners". White Lies are an English post-punk band from Ealing, London. Formerly known as Fear of Flying, the core band members are Harry McVeigh, Charles Cave, and Jack Lawrence-Brown (drums). The band performs live as a five-piece, when sidemen Tommy Bowen and Rob Lee join the line up. White Lies' musical style has been described as dark yet uplifting by the media, drawing comparisons to Editors, Interpol, Joy Division, and The Killers. Twin Atlantic are a Scottish alternative rock band from Glasgow, Scotland. They have released four albums: Vivarium, Free, Great Divide and GLA. Their highest charting singles are "Heart and Soul" and "Brothers and Sisters" from Great Divide released in 2015. On 2 June 2016 Annie Mac premiered "No Sleep" as the Hottest Record in the World on BBC Radio 1 and announced their new album GLA, subsequently released on 9 September 2016. ↑ "Fratellis win BRIT for British Breakthrough Act - NME". nme.com. 14 February 2007. Retrieved 25 March 2018. ↑ "The Fratellis announce 2007 tour dates". Indie London. 2007. Retrieved 5 August 2007. ↑ "Glastonbury line up 2007". BBC. Retrieved 13 March 2008. ↑ "T in the Park line-up unveiled". NME. 2007. Retrieved 5 August 2007. ↑ Paul McNamee (2007). "Costello Music review". NME. Retrieved 30 July 2007. 1 2 "The Fratellis announce new album 'Eyes Wide, Tongue Tied' and new shows". Never Enough Notes. Never Enough Notes. 1 June 2015. Retrieved 1 June 2015. ↑ "The Fratellis: Official Site". thefratellis.com. Retrieved 25 March 2018. ↑ "VIDEO: See The Fratellis' new clip for 'Baby Don't You Lie To Me!'". Never Enough Notes (Never Enough Notes). Never Enough Notes. 3 August 2015. Retrieved 3 August 2015. ↑ "The Fratellis set for UK tour to celebrate 10 years of Costello Music". Skiddle.com. Retrieved 2017-04-05. ↑ "The Fratellis celebrated 10th anniversary of Costello Music in style at the Barrowlands in Glasgow". The Scottish Sun. 2016-12-11. Retrieved 2017-04-05. ↑ "The Fratellis are playing at a Kent music festival this summer". Kent Live. 2017-02-24. Retrieved 2017-04-05. ↑ "The Fratellis to headline North East music festival". www.sunderlandecho.com. Retrieved 2017-04-05. ↑ "Fratellis headline Lindisfarne festival". www.thesouthernreporter.co.uk. Retrieved 2017-04-05. ↑ The Fratellis (2017-05-08). "Yeah so we're recording another album in LA with @tony_hoffer". Instagram. Retrieved 2017-05-09. ↑ "CVC Split with newspaper interview embedded". codeinevelvetclub.com. Archived from the original on 8 October 2011. Retrieved 25 March 2018. ↑ "the flame still burns? – Post by BarryFratelli on The Fratellis forum". thefratellis.com. Retrieved 25 March 2018. ↑ Un. "Throne o' Diablo | Gratis muziek, tourneedata, foto's, video's". Myspace.com. Retrieved 2012-04-03. ↑ "Throne o' Diablo". Facebook. Retrieved 2012-04-03. Wikimedia Commons has media related to The Fratellis .